It’s easy to stay hydrated and refreshed – and start the Herbalife24 conversation – at work, the gym or wherever you go. 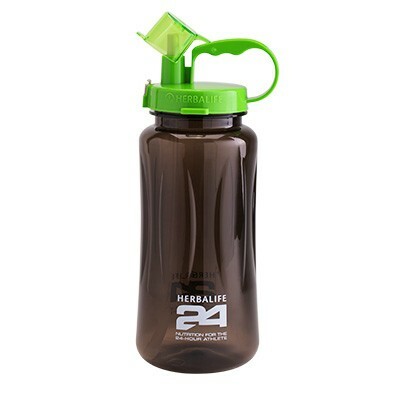 The Herbalife24 Mega Water Bottle lid and straw are made with an advanced food-safe resin. This product is not made with BPAs or its precursors, and it is SGS tested and certified. Please pay attention to the following directions for the proper use of this product. Water cup is intended for room and cold temperature only. Do not use this product with HOT liquids. Hand wash the product only to prevent the anti-leakage silicon ring from distorting. Do not wash or dry the cup or lid using a dishwasher.